pondering and dynamic gathering between Kabba PDP pioneers, stakeholders and one of the front line aspirant for the Senate race, Hon T. J Yusuf, we progressively bring to the public notice that Hon Tajudeen Yusuf has agreed to step down for Sen Dino Melaye. The extensive meeting which was with the understanding of all Kabba PDP leaders concluded with Hon T. J Yusuf who now picked the PDP House of Reps nomination form today and ready to fly and lead the party to victory. 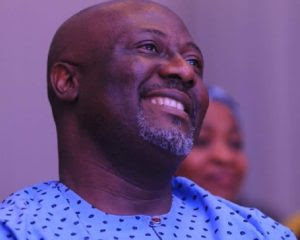 We therefore, reiterate our total support for the duo - Dino Melaye and T.J. Yusuf - for their political understanding and maturity.